Dolphin Tale 2 is in theaters THIS FRIDAY - September 12, 2014. We're also big fans of Classical Conversations - and today I will tell you how the movie and the Classical Conversations are connected! Better still? 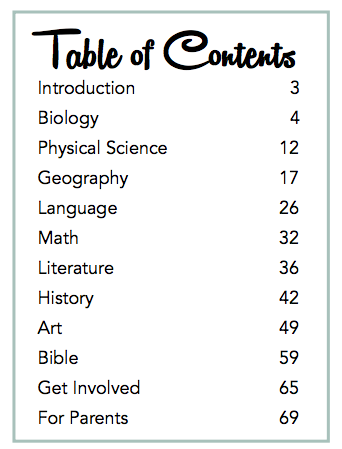 You don't have to be a part of a Classical Conversations community to take advantage of this freebie! In Dolphin Tale, viewers met Winter, a Bottlenose Dolphin who had been rescued on the east coast of Florida after getting her tail caught in a fishing net. Now, in Dolphin Tale 2, Winter's story continues with new challenges, and we also get to meet a new resident at the Clearwater Marine Aquarium: a baby dolphin named Hope. When our family visited the aquarium in July, Anna was able to have her picture taken with Hope! We'd been fans of Dolphin Tale, but after visiting the Clearwater Marine Aqarium and seeing firsthand their dedication to rescue and rehabilitation of marine animals, we realized that it's so much more than a movie. The aquarium is helping preserving a vital part of God's creation. It is also pretty cool that the movie involves a homeschooled girl, Hazel, played by Cozi Zuehlsdorff. 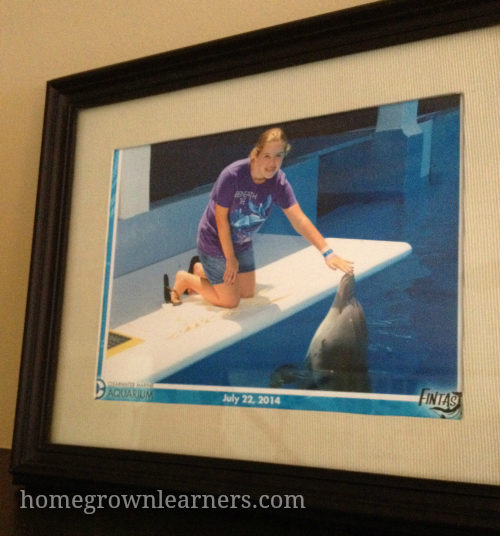 Did you know you can download a FREE curriculum to go along with Dolphin Tale 2? Yes -- and it gets even better! 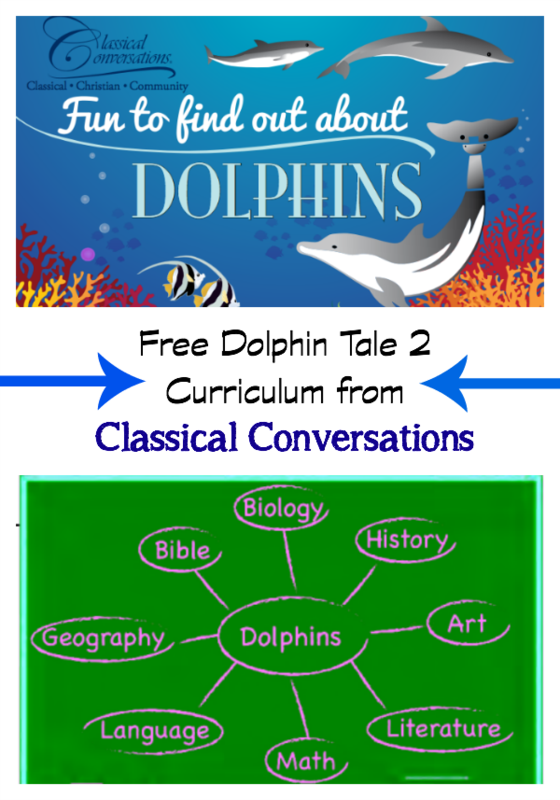 In addition to the general curriculum to go along with the movie, Classical Conversations has its own FREE curriculum to go along with Dolphin Tale 2! To download this curriculum simply visit Homeschool Movie Club and register with your name and email address. It's easy! 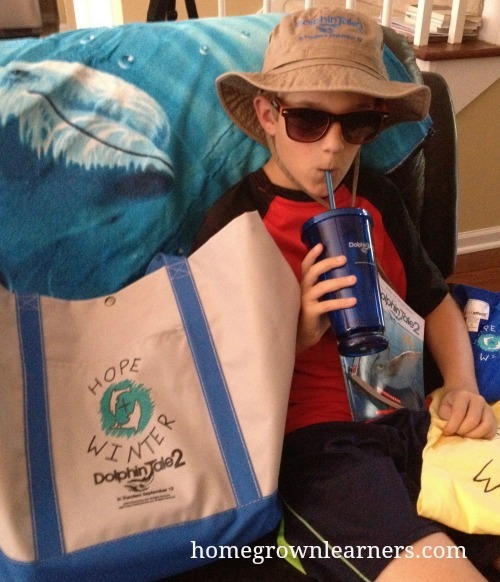 We received a package of goodies from Dolphin Tale 2, and we would like to share some of that with you! 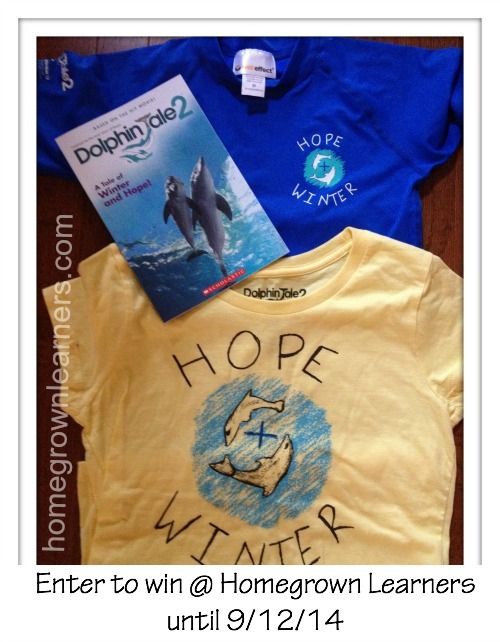 We're giving away a Dolphin Tale2 reader and also two Dolphin Tale 2 shirts. One of them is a swim shirt, child's size Medium and the other is a girl's t-shirt, size Xtra Large . To enter, simply follow the instructions in the widget below. This giveaway is open until Friday, September 12, at midnight EST. Residents of the United States only, please.